Mojang is ramping up to release the Very Scary Update (1.4), but what to do in the meantime? Well, this week's Snapshot is out, and ready for your viewing pleasure! What awaits us this week? Item Frames no longer despawn when 20 blocks away. Wood blocks are now rotated differently. Instead of using the player’s position, it will rotate based on the face it is placed upon, like a lever (this is mainly a test). As always, you can get this week's Snapshot files below! Also, don't forget that a new batch of Minecon tickets is out right now, so go get yours before they're gone! Click here! Whoops, scratch that - they're all sold out again! Check in soon for more Minecon updates! Bats?! now bruce wayne will buy 100.000.000 copies of Minecraft. (Said in the voice of Mab talking to Deathbringer :-). Seriously, where are those silverfish supposed to come from? In the stronghold, yes. In generic caves? No. They ruined the sounds, did any of you guys play it? i did and i am going to upload a video in a few minutes, they totally ruined the game if you jump in water it sounds way to realistic for minecraft. Take your butthurt down a few notches. It gets to the download stage and just stops. never had this problem before. 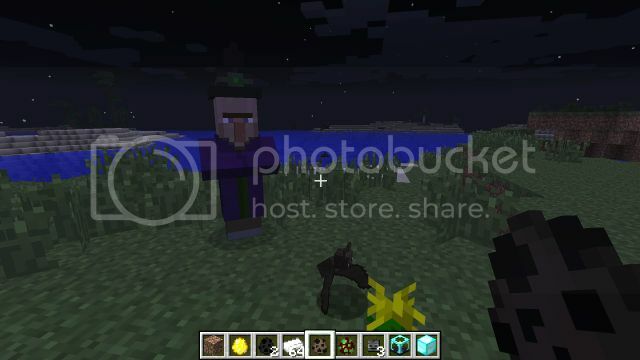 Before I saw the witches, I was like "Minecraft IS becoming a big mod!" 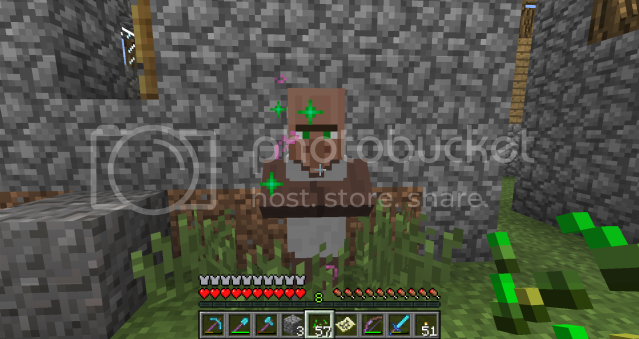 because only mods really have mobs that are player-form and based on intelligent life, but then I was like "Oh, good, just a villager!" This is the Mob I've been waithing for. Don't stop here though mojang. You can't have a bat without a ratNew Sounds O.o Finaly!!!! I had a pretty good idea for the bats, IF you could tame them they could guide you in caves to resources... Reply if you think this is good. Ps:even if this was a mod it would be pretty cool!! That would be quite useless since you would get bats always showing you common junk like coal and iron and even if you made it where they point the way to diamonds, they would either get stuck since the diamonds are underneath you or the difficulty of finding diamonds would drop and you could have diamond items in the first 30 minutes of making a new world. Uh Guys... Someone chesck out my newest Topic? I have an error And I would like to know what I did wrong. There's also new Slime sounds, and new Chicken, Porkchop, Steak and their respective cooked counterpart textures. You actually started your camera rolling without even reading the change log? It's awesome to be first, but you might think about having a script next time. Also the wiki. BATS YES!!!! Love flying mobs. And am I the only one that is excited that item frames can be seen from more than 20 blocks away? very scary update, really fits all of this. what with the wither, silverfish spawning in caves, witches, and bats. i'm gonna be jumping out of my pants every two seconds now. The level up sound is WAY TOO LOUD! So make it shorter AND quieter, please. Man I am super paranoid now with all these new sounds I'm like "WTF WAS THAT??!!" all the time till I get used to it lol..
And I don't know, is this a bug or do they intend for the villagers to give the purple swirlies to show that it's restocking, along with the green plusses now? hmm, make bats neutral so they can attack you, combine a bat swarm in a small area with a silverfish swarm... anyone want to atempt to survive that? I watched inthelittlewoods live stream of the new snapshot.. I also got to buy some MineCon tickets..